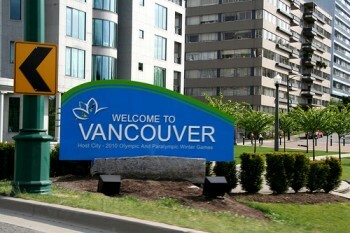 In my opinion, Canadian MBA students and students in Vancouver are studying in one of the least stress conductive environments that exist in North America. I’d like to speak for global business and MBA students, however since I haven’t visited any schools outside of the US or Canada, I probably shouldn’t. The reason I speak so boldly about Vancouver has primarily to do with the breadth of healthy, outdoor, nature-based activities and programs. The city is a mecca of study-induced stress relief activities that allow for greater focus and dedication when the student goes back to reading that 50-page case study on the feasibility of a large enterprise takeover. For students at Simon Fraser University’s Graduate Business School, the ocean, hundreds of lakes, the world’s best ski resort, and the beautiful Pacific Northwest is at their doorstep. Read on to learn about some of the favorite activities that current SFU MBA students and Alumni like to enjoy. One of the most attractive draws of the Capilano Suspension bridge is that after you pay for it once, it’s free for the rest of the year. 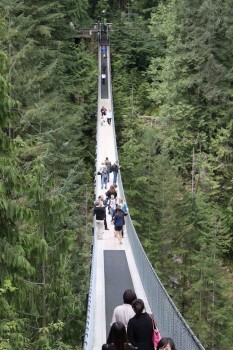 The long standing Vancouver attraction is more than just a 500ft long bridge fully suspended over a 300ft deep canyon; it’s an outdoor sanctuary that features the best of the Pacific Northwest rain forest. One of my favorite techniques to reset after a hard day at business school, and now after work, is to visit the Bridge and the Treetop Adventure course. This is one of the best places in the city to feel “one with nature”. Since a large part of the SFU MBA program is based on sustainability, I can’t think of a better place to visit to remind oneself of how important our environment is to nurture. – Recommended by Ryan Schmidt. Ultimate Frisbee in Vancouver is growing in popularity as the sport becomes more integrated into mainstream sporting society. This sport basically combines American Football and Frisbee throwing to create a fast-paced, competitive game that will get any MBA student’s heart pumping. Alexandra, one of the A Few Good Minds, SFU MBA Blog guest writers and SFU MBA Alumnae is a member of Vancouver’s Elite Women’s Ultimate team, “Zephyr”. Along with her budding sales and marketing career at one of Vancouver’s top tech start-ups, she is also a long-time advocate of the sport, and a dedicated athlete. 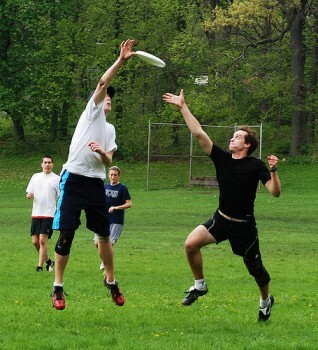 Vancouver’s Ultimate Frisbee scene is by no means exclusive however, as it’s very easy to get involved through the Vancouver Ultimate League. Recommended by Alexandra Chu. One of the benefits of living so close to a coastal mountain range is the ability to climb those mountains in order to overlook your city. Grouse Mountain is one of the MBA student favorites here in Vancouver, as it is very accessible by public transportation, and has a gondola to lift you to the top. For those stressed and studied-out Graduate Business students who want to combine exercise with a gorgeous view, there is a well maintained trail that takes you to the top. The West of Canada is notorious for its beautiful views, and this particular one certainly fits in with some of the best I’ve ever seen. Since sustainability in business is such a hot topic, it should be noted that Grouse Mountain has recently installed a wind generator at the top of the mountain. This generator has been linked into BC Hydro’s (incidentally, A Few Good Minds is very familiar with BC Hydro) power supply and will power up to 400 homes. This move shows how committed prominent Vancouver businesses are to carrying out a sustainable strategy. Recommended by Ryan Schmidt. As we mentioned in the A Few Good Minds MBA Blog post about Vancouver as a Mediterranean city, the area around SFU’s Business School features about 50 kilometers of beaches spread out along the coastline. During the summer months it is very common to see barbecues, family picnics, ocean swimming, and every “sand sport” imaginable. The most popular sport that I’ve seen so far is beach volleyball. The city of Vancouver has erected hundreds of posts on the city’s beaches that allow anyone to bring a ball and a net and start playing. Along with impromptu pickup amongst friends, Vancouver has several organized leagues that anyone can join. Recommended by Lindsay Angelo. 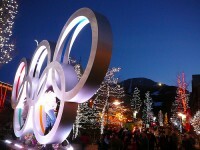 If you ski or snowboard, Whistler is probably one of the biggest draws to do your graduate business education in Vancouver. The resort is an easy weekend trip that drops you into the world class ski facility that was used for the Vancouver 2010 Olympic Winter Games. Since the mountain has such a long history of snowboarding and successful snowboard athletes, many of the runs are designed specifically with the rider in mind. If you’re into jumps and tricks, the terrain park is one of the biggest and best in the world. The beauty of Vancouver is that one doesn’t necessarily have to make the one-hour trip to Whistler to go skiing or riding. The city has many coastal mountains within 30 minutes of SFU’s Graduate Business School. Also, you don[‘t always need to be on planks, as this article about MBAs in Vancouver having lots of winter fun depicts. 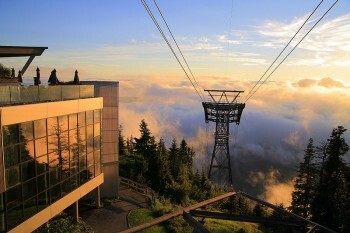 In the summer, the mountain utilizes many of the ski lifts to transport downhill mountain bikes and their riders to extreme runs. It is absolutely the best way to get into extreme mountain biking, as the lift provides ultimate ease and convenience of getting back up the mountain after barreling down it. It is recommended that you take lessons your first couple times, which provides a basic skill level as well as a better idea of the mountain’s bike runs. Recommended by Jessica Oman. Nice post! I also think that Canada has a lot to offer. It is a great place to study and to work at as well. Canadian stocks are even one of the best that people can invest on.